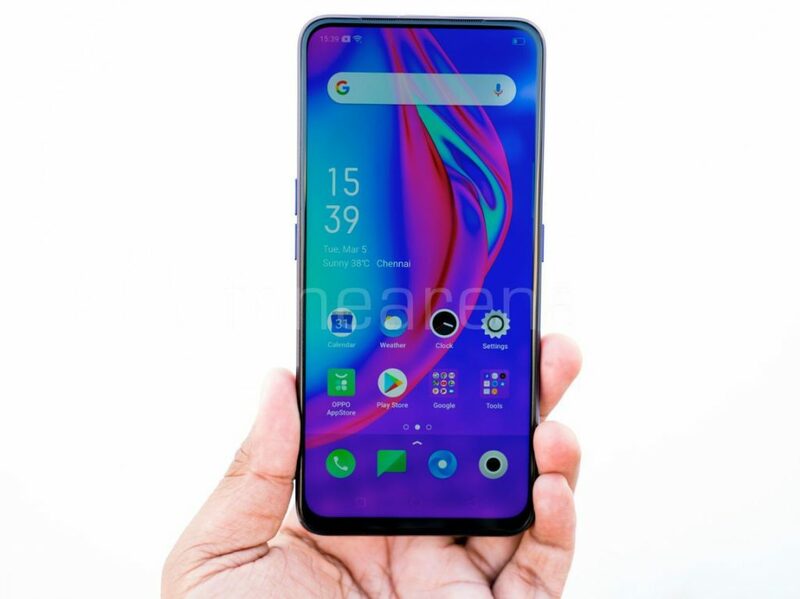 Right after the tech giants like Samsung and Apple, it’s OPPO who comes up with something new in this saturated mobile market by giving it a breath of fresh air. One cannot deny the fact that the Guandong-based company has been relentlessly asserting the significance of new technology and innovation. 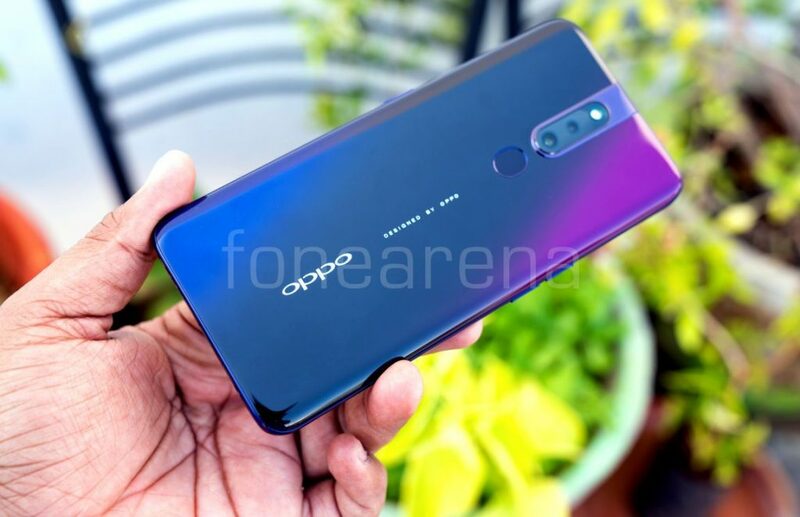 Be it OPPO Find X, R17 or the latest OPPO F11 Pro, these devices stand as a testament to OPPO’s dedication as the technically advanced company. 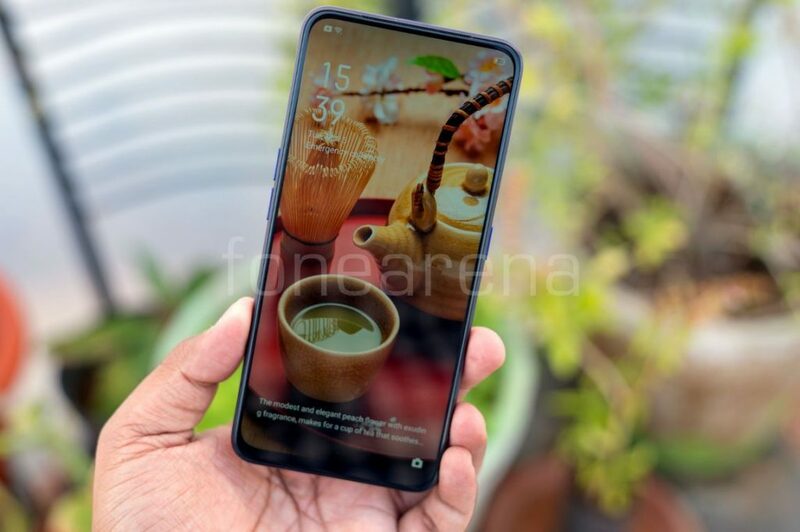 Having said that, the company has launched OPPO F11 Pro in the Indian market recently featuring Panoramic screen, Rising camera and a 48MP rear camera. 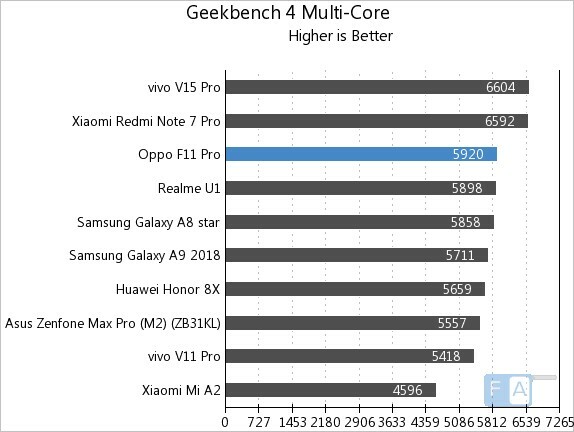 The device has been placed in the sub 20K segment competing directly with Vivo V15 and V15 Pro. 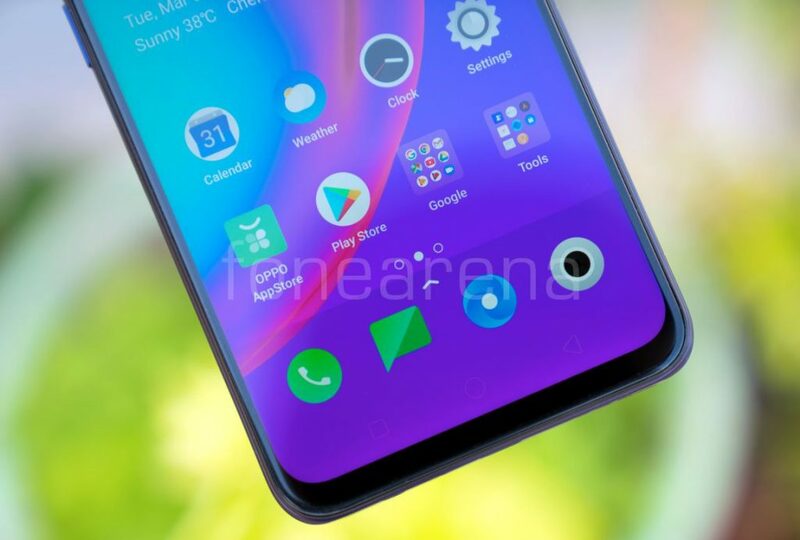 In the recent past, the Chinese handset maker has been making some impressive yet attractive smartphone in the market, and the OPPO F11 Pro is no exception. The latest outing from OPPO comes with plastic body finish and metal frame in the middle. 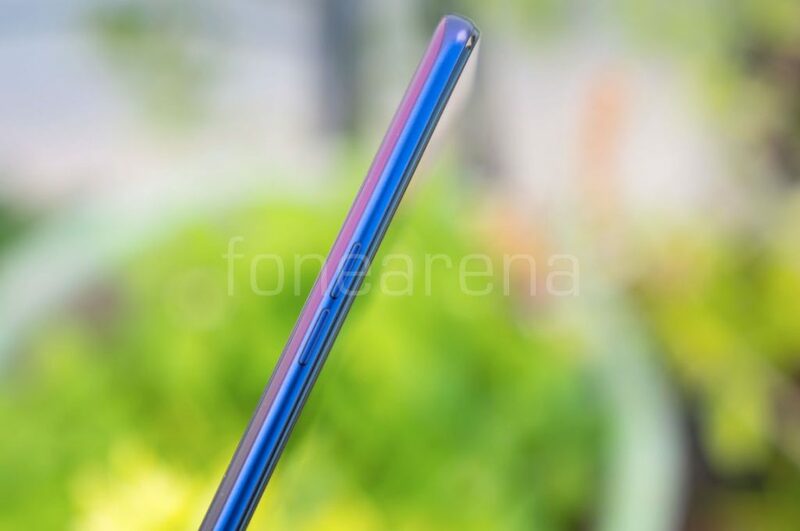 Undoubtedly, the triple colour gradient 3D back looks beautiful. We got a review unit with Thunder Black colour. 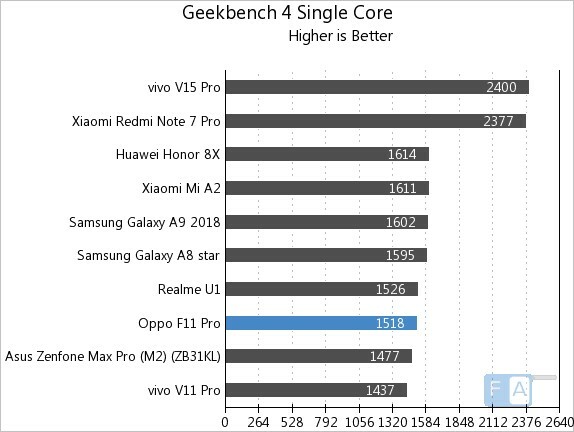 Overall, the build is premium, looks appealing when compared to other smartphones in the same category. The bezels around the display are extremely thin to ensure best-in-class immersive multimedia viewing experience. Talking about the placement, the right side of the mobile have Hybrid slot and power buttons, with good tactile feedback. The left side houses volume rockers. The 3.5mm headphone jacks, primary microphone, Micro USB and speaker grille lives on the bottom, while the raising camera and secondary microphone are housed on the top. Turning back we have the camera setup and a fingerprint scanner beneath it. It’s worth mentioning that all the necessary buttons are well within the reach. 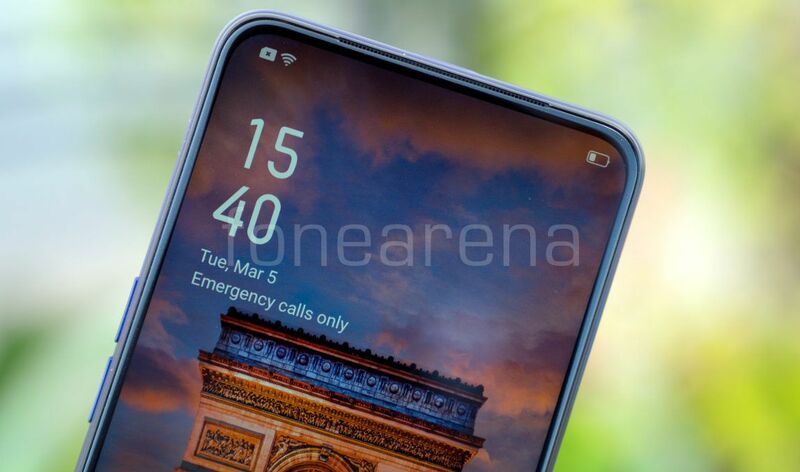 One of the best things about this device is its 6.5-inch (2340 × 1080 pixels) Full HD+ 19:5:9 aspect ratio panoramic display that is protected with Corning Gorilla Glass 5. When it comes to multimedia purpose like gaming, video streaming, the nearly all-screen front serves its purpose. 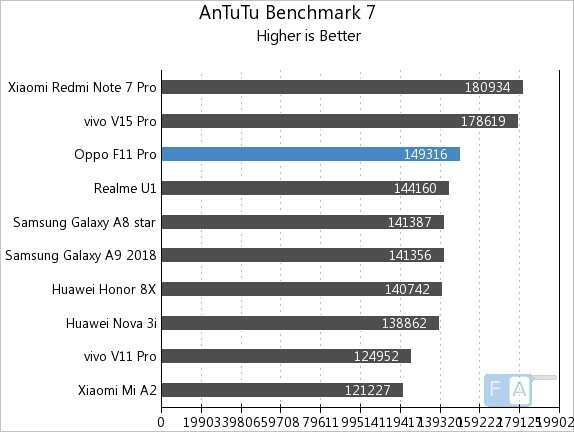 The F11 Pro got an impressive 90.9% screen-to-body ratio. The display quality looks with punchy colours, adequate brightness and has a great viewing angle too. The text looks sharp and sun light legibility is decent too. One day battery life guaranteed! The OPPO F11 Pro gets a 4000mAh battery with VOOC flash charge 3.0. As per the company claims, the VOOC 3.0 technology can shorten charging time by 20 minutes and further improve charging speed. In our usage, we had no issues making it through a full day with social media, YouTube video streaming, Spotify and more. 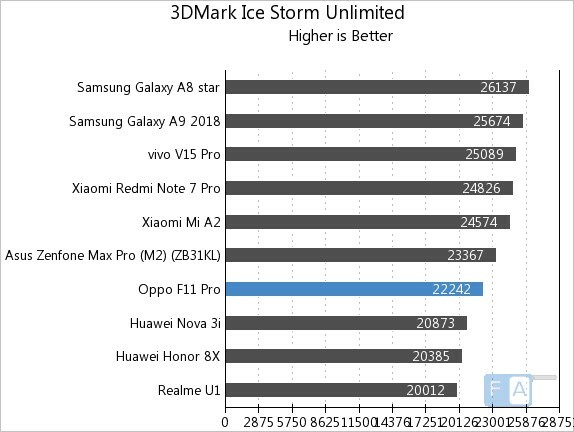 In our OneCharge rating the OPPO F11 Pro scored. On the software side, the device is shipped with ColorOS 6.0 based on Android 9 Pie out of the box. To be honest, OPPO has drastically improved the UI this time and it has made good use of colours especially, in the notification panel. The ColorOS 6 looks less cartoonish, minimal and well optimised. ColorOS also has its own navigation gestures to further the full-screen experience too. Additionally, it has some useful features including Smart Assistant and the Smart Bar. 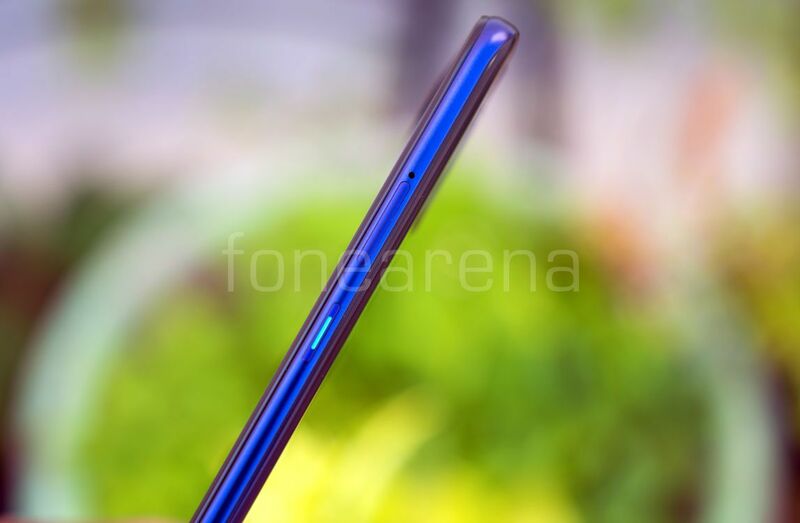 OPPO F11 Pro boasts a massive 48MP rear camera supported by a 5MP secondary camera to create hardware-driven depth of field effect. As you can see, the camera setup is stacked vertically in the centre of the phone along with LED flashlight. It features OPPO’s exclusive Ultra clear engine which intelligently recognizes scenes by examining the available light in the surroundings. 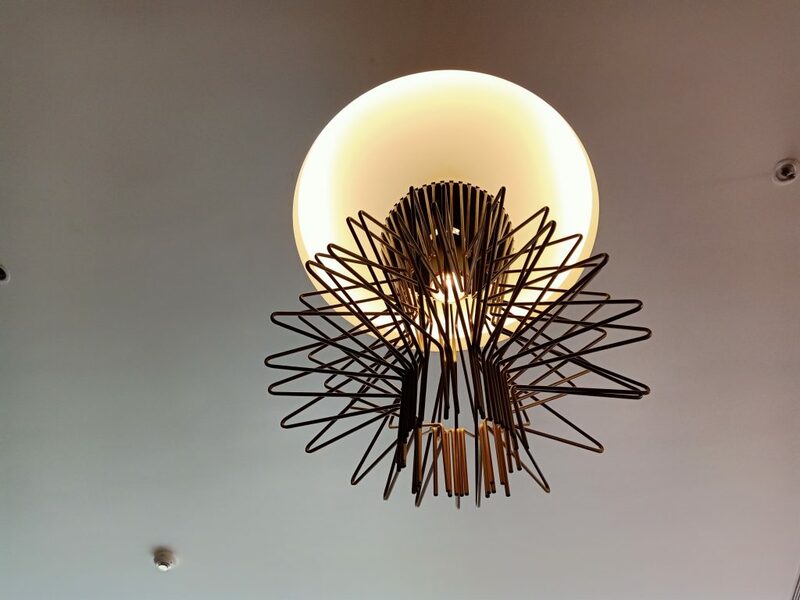 The camera optimises the settings for detailed photography. 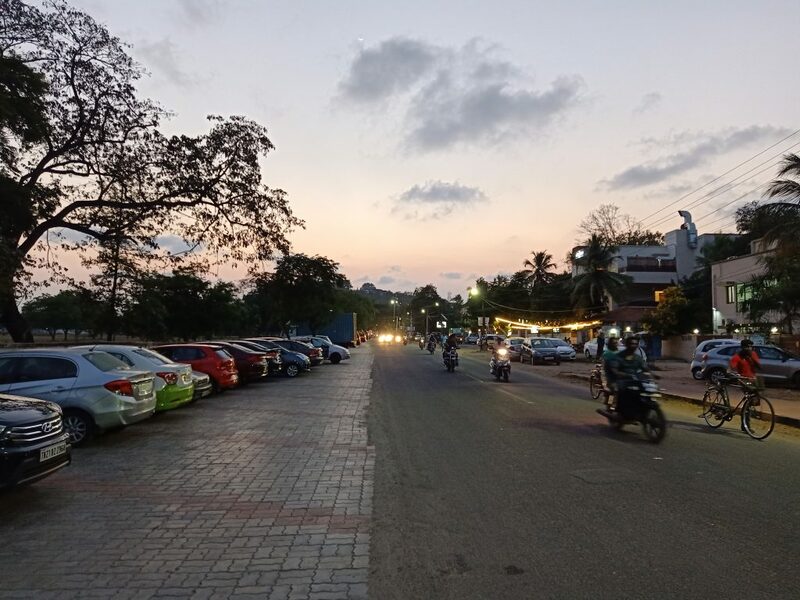 The phone also features the ‘Night’ for better low-light images. 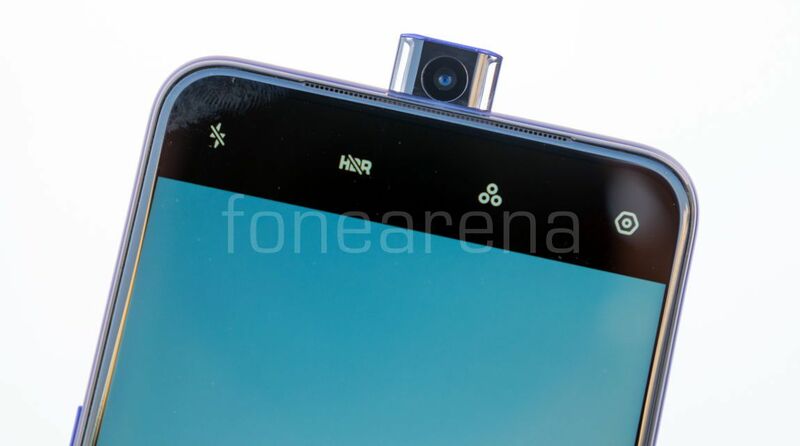 In addition to the 48MP dual rear camera setup, OPPO F11 Pro sports a 16MP rising camera with f/2.0 aperture at the top centre of the device which will come out the moment you press the on-screen selfie camera buttons. Out of the box, the main rear camera is set to click the image in 12MP, but it can be changed to 48MP under the settings. It’s worth mentioning that, if you use 48MP, some features like HDR, AI scene recognition, Chroma boost, zoom and others get disabled. 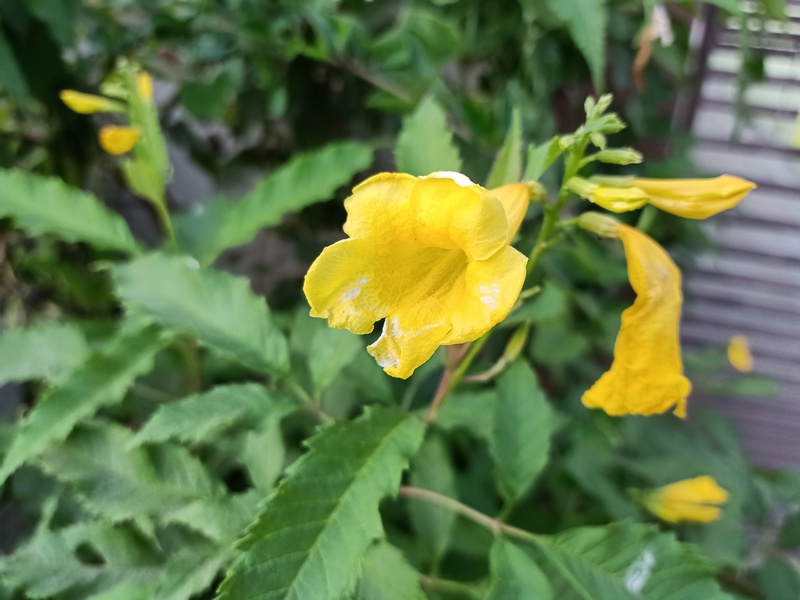 Shooting at 12MP gives you various option that enables you to leverage the picture quality in terms of colour and detail. 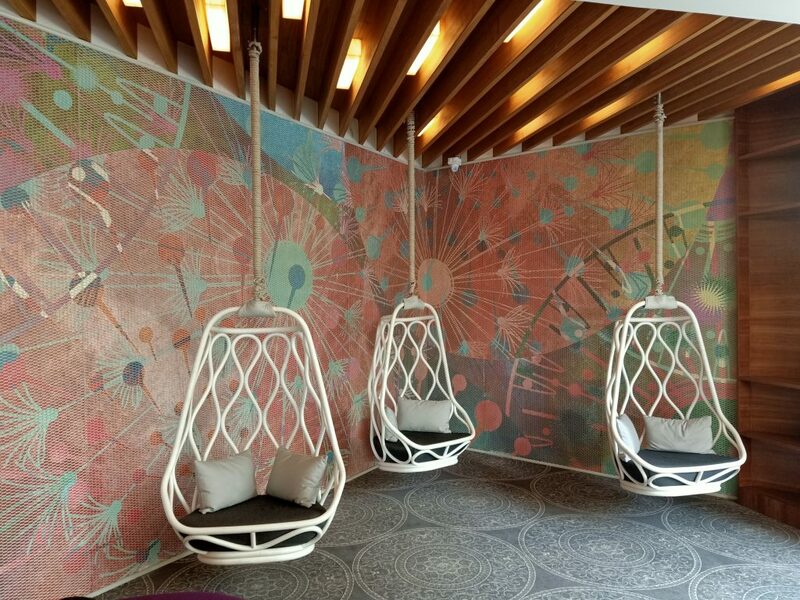 In this case, it uses pixel binning technology that stitches four images together to offer a better result. While shooting at 48MP, we didn’t notice a huge difference on the display except for sharpening. 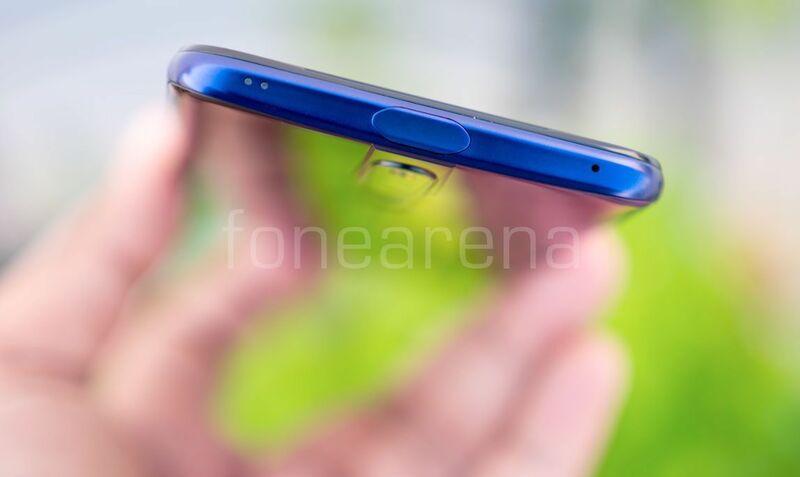 On the front, the OPPO F11 Pro features a 16MP rising camera with f/2.0 aperture at the top centre of the device which will come out the moment you press the on-screen selfie camera buttons. 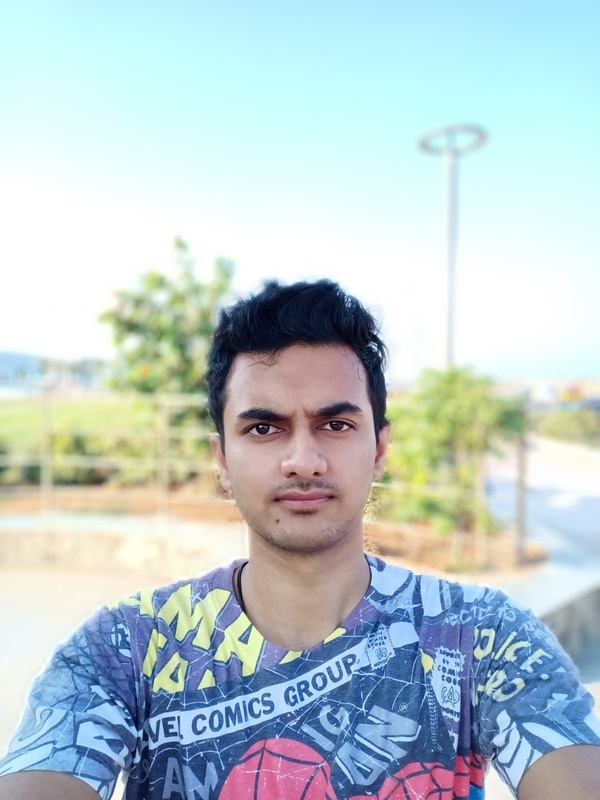 The front camera captures a detailed selfie and portrait photos turned out to be pleasant with accurately processed blur effects. Check out the photos here. At present, we are at a stage where micro USB is starting to feel an old-hat ever since the USB Type-C took over. Since we are used to USB Type-C’s superior feature like faster transfer speeds, compatibility and convenient symmetrical design, the MicroUSB in OPPO F11 Pro looks somewhat old school and bit outdated. Having said that, VOOC technology is the saviour here! 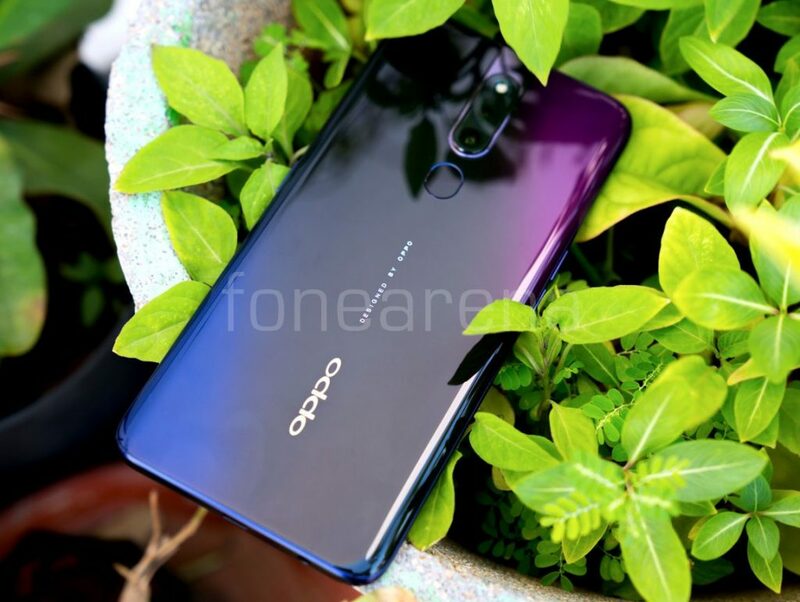 The OPPO F11 Pro comes in Thunder Black and Aurora Green colors, is priced at Rs. 24,990. Considering it as a whole package, the device is bit overpriced. 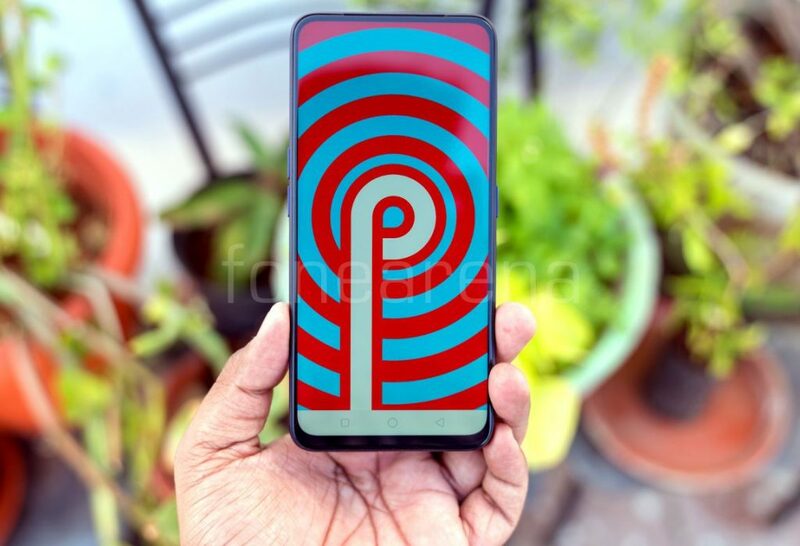 Touted as the most value for money, Poco F1 with 128GB is available for three thousand bucks lesser with high-end specifications. 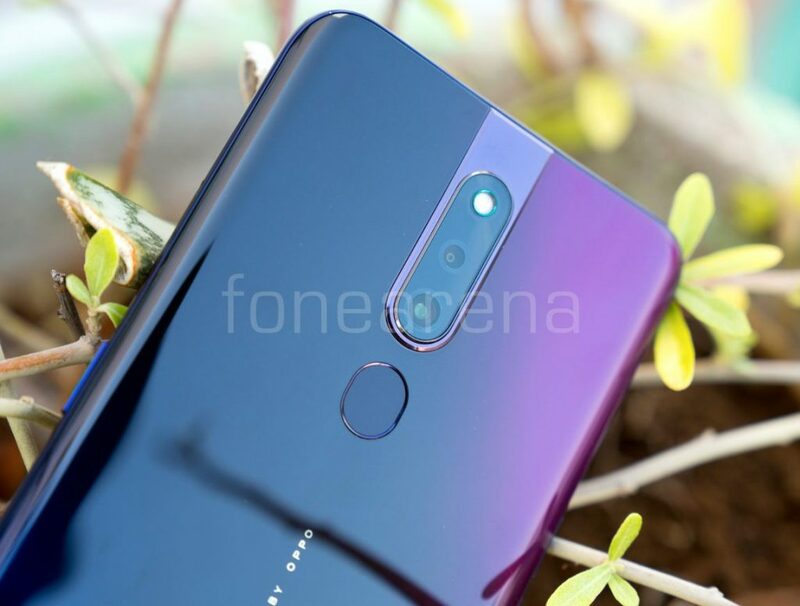 Other alternatives include Asus Zenfone 5Z, Samsung Galaxy A50 and Honor Play (6GB RAM). Under the hood, the recent outing from OPPO is powered by Octa-Core MediaTek Helio P70 SoC and has 6GB of RAM and 64GB of internal storage which can be expanded by up to 256GB with a microSD card. On the other hand, the loudspeaker quality is decent if not great and at times we had issue with call quality (maybe due to the placement of earpiece). The OPPO F11 Pro comes in Thunder Black and Aurora Green colors, is priced at Rs. 24,990 and is available from Amazon.in, Flipkart, Paytm mall, Snapdeal, OPPO store and offline stores.